The Cornwall Arts and Crafts Directory (CACD) have compiled this list of arty and crafty events to put in your diary, going on down here in our beautiful Cornwall. There are currently 62 listed here. Visit the Tate St Ives web site page for more details of this event. Rebecca Chesney, Lubaina Himid, Magda Stawarska-Beavan. In this new body of work, Shelly Tregoning continues her exploration of physicality and the interpretation of human gesture. As a painter and printmaker, the artist creates what she refers to as ‘non-portraits’ – images of the figure in which the identity of the sitter is irrelevant, and our instinctive reading of the human form is everything. In The Picture Room at Newlyn Art Gallery. ‘Thrown functional porcelain in vibrant colours from my north London studio’ Arjan Van Dal. In The Studio at Newlyn Art Gallery. In this workshop Amanda will push the boundaries of painting either landscapes, a still life or an abstract. You will experiment with various mediums including oils, watercolours, inks, charcoal, layering of paper and gold, silver or copper leaf. Amanda will do a demo to show how she uses these materials; discussing thoughts and ideas as she works. This workshop will be experimental and fun where any preconceived ideas of how you think you should work are left at the door. Amanda has many years’ experience as a professional artist and tutor who has also published several magazine articles and books. Her work is known and loved throughout Cornwall and can be found in galleries across the Duchy. Visit event web page on the Truro Arts Company web site for more information. Round the room folk session. All welcome to perform or listen. There is some on-street parking in Chapel Street and nearby. There is a paying car-park between The Yacht Inn and Battery Road. This workshop is suitable for anyone as if you are a beginner you can make something simple. If you are more experienced you can create a little work of art. The class costs £15 for 3 hours of relaxation and crafting fun. I will also have a small supply of felting kits, wool and equipment available to purchase on the day. The cost includes all equipment, materials, tea and coffee so please just bring yourself and some nibbles to share. Design and make your own silver band ring. With full tuition from a BA qualified Silversmith you will learn the techniques to measure, form and texture your very own silver band ring. Perfect for beginners and anyone interested in having a go at the hugely enjoyable craft of jewellery making. Anna has a BA (Hons) degree in Silversmithing and Jewellery Making and is a Bishopsland Fellow graduate. She is an experienced tutor of many years and works professionally as a jeweller and silversmith. Lebanese artist Huguette Caland has her first UK museum solo exhibition at Tate St Ives. This workshop is suitable for anyone who has completed one of my beginners classes. The class costs £15 and in 3 hours of relaxation and crafting fun, you will create either a hare, fox, badger or squirrel. This workshop is a fun, right-brain stimulating exploration of the style and techniques of Vincent Van Gogh and is open to all levels of artist from professional to complete beginner. You will look at some reproductions of Van Gogh’s works and Sarah will demonstrate some of his techniques before you either create your own version of your choice of his paintings or use his style to paint an image of your own. 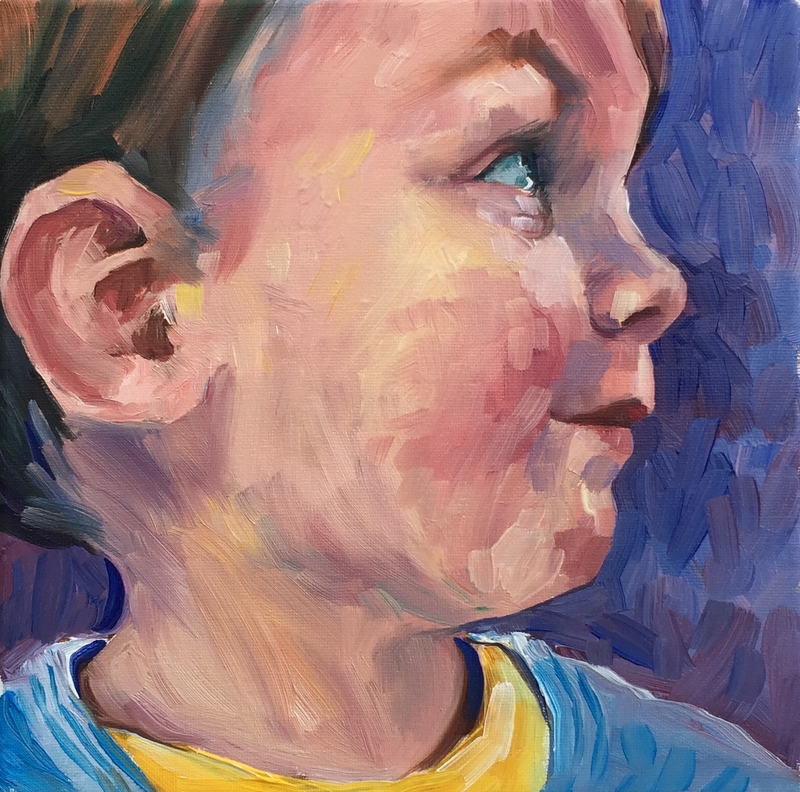 You may like to bring a reference photo to work from if you would prefer to create an original painting. Sarah advises that you choose an image of a person who isn’t showing too much of their teeth and if you would prefer to paint a self-portrait you will need to bring along a small self-standing mirror. A professional artist and illustrator, the only English artist -animator to work on the film ‘Loving Vincent’ and, through sheer practice, an expert in the style of van Gogh. Sarah has exhibited with the Sunday Times Watercolour Competition, The Discerning Eye, the RI and the RWS as well as numerous solo shows. Sarah has written two painting books and illustrated hundreds of other titles as well as working on BBC Jackanory. She is Artist Ambassador for Artlook Software and Artist Ambassador for Royal Talens. Sarah has recently been featured in Cancer Research UK’s national campaign ‘The Missing Third’. Open Studios Cornwall is Cornwall’s largest free art event, which opens its doors for a week long art extravaganza to celebrate one of the country’s most creative art scenes. Bringing together artists both up-and-coming and established, the event sees nearly 200 creatives open their studio doors and offers a rare opportunity to explore behind the scenes and meet the makers. Registration to take part in Open Studios Cornwall 2019 is now closed. This workshop is suitable for all and provides an introduction to using armature. The class costs £15 and in 3 hours of relaxation and crafting fun, you will create a simple sugar mouse with bendy tail. 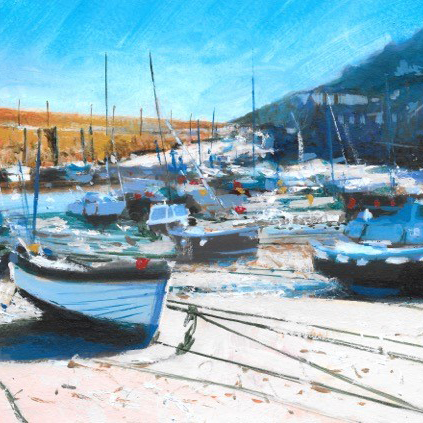 In a relaxed and informal atmosphere, Tracey will demonstrate the process and techniques of building up an acrylic painting of the Cornish coast. 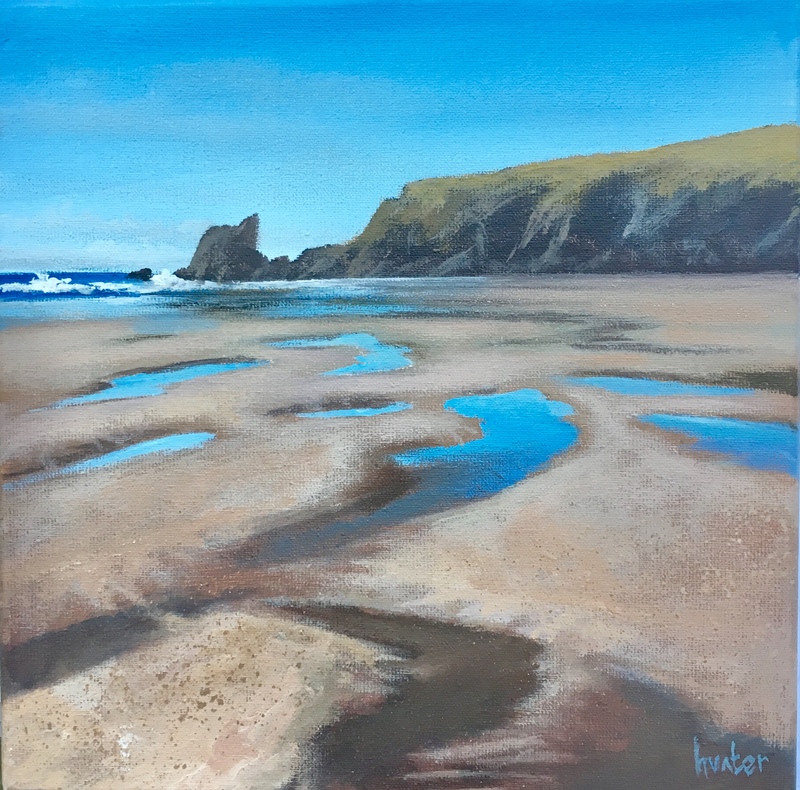 Tracey will also demonstrate how to paint clouds, waves, cliffs and sand, looking at brush techniques and colour mixing. Full guidance will be given to each individual, relative to their style and painting. Tracey has worked as a professional artist for the past 15 years and is an experienced tutor. Her work can we seen in galleries across Cornwall and Devon. The class costs £15 and in 3 hours of relaxation and crafting fun, you will create an owl. Please go to Benslow website and book if interested. Seals, seagulls and herrings, pebbles and shells, mermaids and starfish. The class costs £15 and in 3 hours of relaxation and crafting fun, you will create a Godrevy seal. Using mixed media and found objects, you will create artwork full of texture and interest inspired by Cornish boats and harbours. Guided by Glyn’s irrepressible energy and imagination you will learn how to use acrylic paints in unusual, creative, and surprising ways to create two inviting pieces of work packed with life. The class costs £15 and in 3 hours of relaxation and crafting fun, you will create a seagull or herrings. The class costs £15 and in 3 hours of relaxation and crafting fun, you will create pebbles and shells. This workshop is suitable for all and costs £15. In 3 hours of relaxation and crafting fun, you will create hanging buzzy bees. The class costs £15 and in 3 hours of relaxation and crafting fun, you will create a ram using armature. Nigerian-born contemporary artist Otobong Nkanga will install new and existing works at Tate St Ives as the culmination of her upcoming residency at the gallery. Nkanga's drawings, installations, photographs and sculptures variously examine ideas around land and the value connected to natural resources.